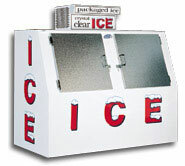 Store large amounts of packaged ice with a branded Artic Glacier merchandiser. Capacities range from 30-60 12kg bags (120-280 2.7kg bags). 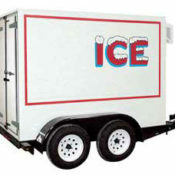 Ice merchandisers are available for either short term or long term rental durations. 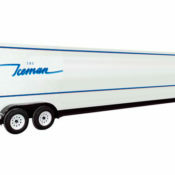 Often used for seasonal events, construction sites, catering companies, trade shows, or for retail sales in grocery stores and convenience stores. 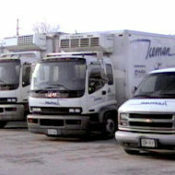 All models are 115 volt, single phase, and 60 hertz – indoor and outdoor units available.